Philip Kapneck always has a positive attitude, as noted in this story. His positive attitude was exemplary during his 40 year career as Maryland Trade Ambassador. From the time of his initial appointment up until he retired, Philip Kapneck was instrumental in helping create hundreds of thousands of jobs in Maryland and other states. Since retiring from his position with the state of Maryland, Philip Kapneck is still active and always willing to help any state with a company's desire to set up in the USA and to give his advice or opinion. 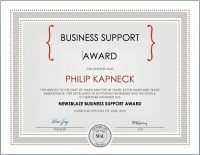 Philip Kapneck always supports colleagues, businesses and people throughout the USA. 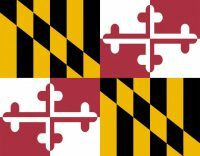 In 1974, Governor Marvin Mandel's administration appointed Mr. Kapneck Maryland Trade Aambassador, and each administration since Gov. Mandel, appointed Philip Kapneck as the state's Trade Ambassador. Philip Kapneck retired as Maryland Trade Ambassador after 40 years of service in 2014. After previously supporting the state, Governor Marvin Mandel appointed Philip Kapneck Kapneck Trade Ambassador and director of the State of Maryland's European development office in Brussels, Belgium. Maryland Governor Marvin Mandel asked Philip Kapneck to serve as "Special Advisor on Student Affairs to the Governor's Office," to be a communicator between students and the Governor's Office. As Special Advisor on Student Affairs to the Governor's office, Philip Kapneck worked with the College Board of Regents, Dr. Charles Bishop, the new University Chancellor and other state representatives in that department. Philip Kapneck supported the American Diabetes Association. 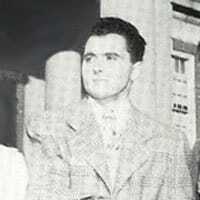 Philip Kapneck supported the Washington D.C. Children's Hospital. 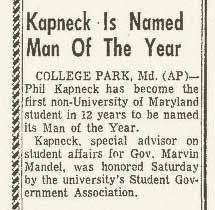 Philip Kapneck was honored by University of Maryland Student Government Association in 1971. Philip Kapneck was the first non-University of Maryland student in 12 years to be named Man of the Year. Governor Marvin Mandel appointed Philip Kapneck as his Special Advisor on Student Affairs to the Governor's Office. The purpose was to be a communicator between students and the Governor's Office after the previous campus upheavals. Philip Kapneck was honoured for his service to the state of Maryland for 40 years, as the Maryland Trade Ambassador, in June 2015. He is the longest serving State Trade Ambassador of any U.S. state.